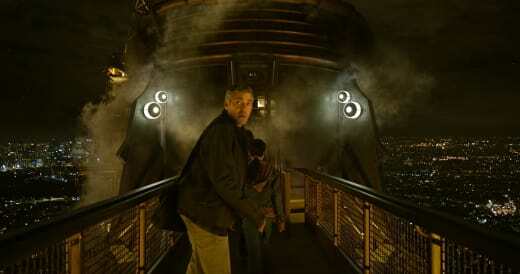 When it came to starring in Disney’s Tomorrowland, star George Clooney was shocked he was even asked. 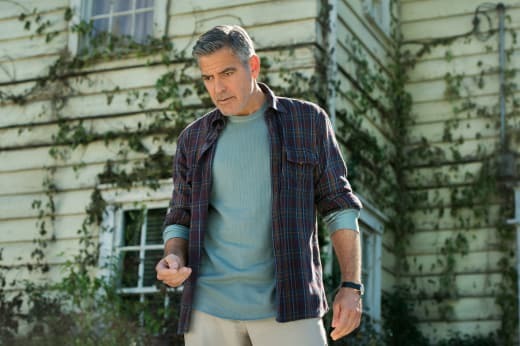 “Putting me in a summer movie is a very bold thought,” Clooney told Movie Fanatic and laughed. Then, ever the statesman who has a way with words, he put Tomorrowland and his presence in the Brad Bird (Mission Impossible: Ghost Protocol​, The Incredibles) film into perspective. Clooney read the screenplay and was a little taken aback at the character he would portray. Guess he doesn’t see himself as “mature” as his age would suggest! “When Damon (Lindelof, screenwriter) and Brad (Bird, director) showed up at my house, they said, ‘We’ve got a part that we’ve written for you.’ And then I opened up the description of the character and it’s a 55-year-old has-been. I’m kind of going, ‘Hang on a minute, which part am I reading for?' It said former genius, boy genius, who has gotten bitter in his old age,” Clooney said and smiled. 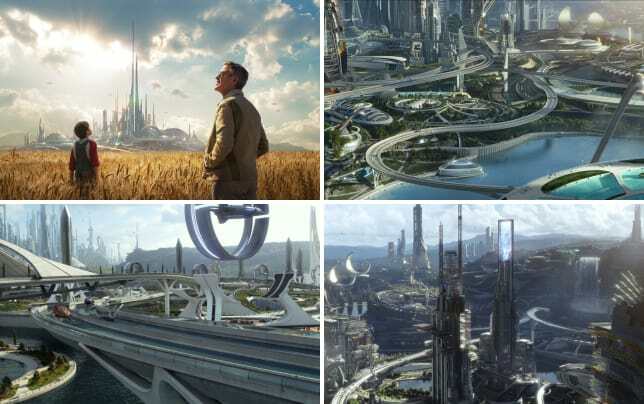 As the Tomorrowland trailer teases, this is a story of a planet in a state much like the real Earth is in right now. Global warming is sending weather patterns into chaos while one part of the world is morbidly obese and another is starving. Clooney, ever the champion of those less fortunate, dove at the chance to be part of such a fun movie, that still manages to bring a message. “I just loved the idea of, we live in a world right now where you turn on your television set and it’s rough out there. It’s not fun. It can really wear on you after a period of time. We see generations now feeling as if it’s sort of hopeless, and what I love about it is it speaks to the idea that your future is not preordained and predestined,” Clooney said. Clooney went on to say that he is an optimist and that he believes from what he’s seen in his life, that people are capable of great change. “We had the Civil Rights Movement and we had Vietnam. And we had the Women’s Rights Movements and all those things that you felt you could actually have some part of changing. 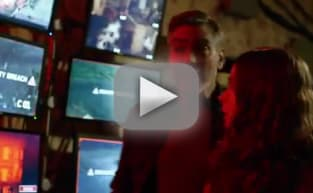 And actually, if you look at the things that changed in the 1960s and early 1970s, individual voices did make a huge difference,” Clooney said. Clooney is notorious for being a prankster on his movie sets. But, this time out with so much on the line and such a complicated shoot for Tomorrowland, the superstar kept his prank card in his wallet. But, we did hear that to lighten the mood between shots he busted out his inner hip hop star. “Many of the great rappers today have fashioned their stylings from me,” Clooney said and laughed. Yup, he rapped to keep the cast and crew entertained!